Chia seeds have always been a bit of an enigma to me. I guess I’ve been a bit of a lazy vegan, since I know they are very definitely “all the rage!” but to date, I hadn’t really looked into the benefits of them so really don’t know much about them at all. 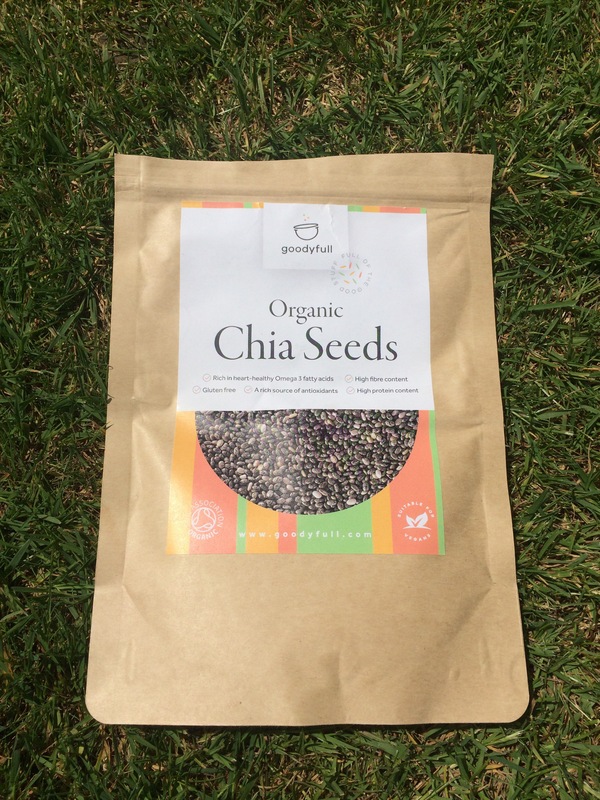 So when I was offered a chance to try some organic chia seeds and review them through the Vegan Lifestyle Association I thought now was as good a time as any to bite the bullet and find out more about these little protein wonders. I decided to take it one step further and buy myself a Nutri Bullet. 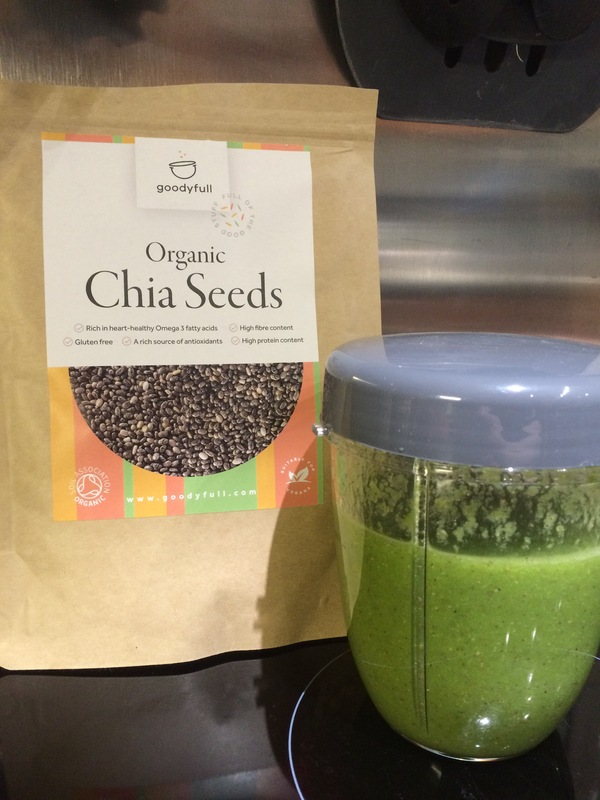 I had been meaning to do this for a while and have read many recipes for Nutri Bullet shakes which suggest adding Chia seeds as a “boost”. Now I was committed! The packaging which Goodyfull foods have chosen is really lovely. It screams “natural” at you, and would definitely be something that would catch my eye in a shop. I love the minimal design and the handy resealable top which keeps those tiny seeds brilliantly fresh inside. After doing little Nutri Bullet research, I decided to make a spinach, kale, cucumber and celery juice, with the chia seeds as a “boost”. Granted, it does look scary, but it was genuinely lovely. Now that I know how great these little seeds are, I’ll definitely be including them in juices and on cereal. They are a great source of protein, high in antioxidants and omega 3 fatty acids which are great for your heart. With all that in mind I wish I’d known about them sooner. They are so easy to pop in drinks and cereal (and even make chia pudding with – which is my next mission!) so it’s really a no brainer, they are my new “go to”! At £5.48 from the Goodyfull website, and the option of free delivery, what’s not to love?